When Is the Best Age to Have a Baby? What’s the best age to have a baby? It’s a question just about every person considers once they enter adulthood. The answer will not only be different for different people but may change during your life. It may be that in your twenties, having kids later felt right… but once you got to your mid-30s, never feels more acceptable. 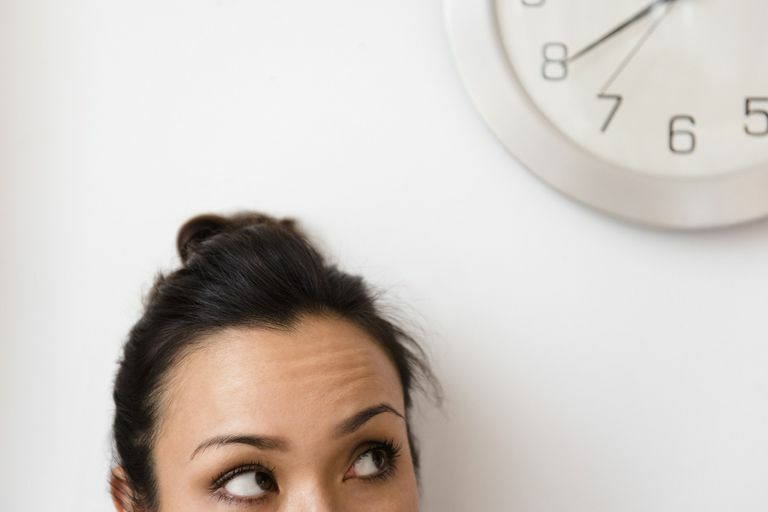 Or you may decide at 30 that now is the right time, but after encountering infertility, end up in the later category (possibly due to fertility treatment bills getting out of hand, or needing a break) or even never (as you seek closure). There are few easy answers to this complicated question. But, hopefully, the guidelines below will at least help you discover the best answer for you, at this time in your life. You can’t afford your current bills. You think having kids will fix something in your life. You don’t feel ready — for whatever reason. You’re really not sure whether you want to have kids or not. Everyone has a different opinion on what being financially ready for kids means. If you can’t make ends meet, then having kids now isn’t a good idea. It’s much wiser (and easier) to figure out your financial situation and make changes (whether getting a new job or moving to a less expensive area) before you bring a little one into the picture. It’s also possible your financial situation will change mid-trying to conceive. Due to the expense of some fertility treatments, it can happen that a family that was financially secure when they started trying to conceive can fall into a situation where they can barely pay the bills. This can be heartbreaking, and the urge to keep trying, even if you can’t make ends meet, can be very strong. However, if you can take a step back and stabilize your financial situation before you pursue further treatments, do it. You know you want to have kids. You have the means to care for children. If you already know you want a large family, start sooner than later. You may even want to sit down with a pen and some paper to figure out approximately how old you’ll be for each kid. This can help you plan better. Assuming you don’t have known fertility issues, you can assume it’ll take about six months to conceive each kid, and then allow ten months for the pregnancy. Then, consider how far apart you’ll want to space your kids. Remember that as you get older, it may take you longer to get pregnant. So the later you start, the more of a chance you take that you won’t have as many kids as you hoped for if you or your partner are approaching 35 (or have already reached your mid-to-late 30s). If you know you want to have kids “one day” but you keep questioning when the right time is, you might want to decide to make that time now if you’re 35 or older. This is because it gets harder to get pregnant after 35, and your risk of experiencing infertility goes up. You shouldn’t use your declining fertility as a reason to have kids if you’re truly not ready. But, if you are financially secure and at a stable point in your life, and you know you want to have kids, your biological clock is a good excuse to start trying now and not wait longer. You don’t want kids, or you don’t like kids. You wish you could have kids, but your life hasn’t provided good circumstances for having them. You wanted kids but have decided to stop pursuing parenthood for any number of reasons. Seems obvious, right? Except, it kind of isn’t. They have them just so they won’t “regret” not having kids later… even though they feel dread at the thought of having kids. The only reason you won’t hear a (good) parent say they regret having children is because they love the children they have. That doesn’t mean, however, that they would have necessarily regretted not having children if they never had them. They have kids because “that’s just what you’re supposed to do.” Our society has come a long way, but there is still enormous pressure for couples to have kids. Then, there are those who wanted children but then find themselves unexpectedly in the never camp. Maybe they have a medical condition that would make having children difficult, for them or their kids. Maybe the career they have chosen doesn’t mesh well with having their own kids, or they’re happy acting as an aunt or uncle to their family and friends’ children. Or they work with children in other ways. Maybe they’ve been diagnosed with infertility and have decided not to pursue fertility treatments or adoption. Or maybe they’ve spent years trying to have a child unsuccessfully, and are completely burnt out by the experience. But why say never and not later? Or maybe? Good question. The main reason is to give yourself a sense of closure. As long as you keep trying, or as long as you keep open the possibility of having kids in your mind, the harder it is to process this unexpected change in your life plans. If having kids is something you once did want very much, you won’t be able to properly mourn the loss if you don’t decide it's over. You can’t grieve. You’ll often hear people say, “Don’t give up!” Or, “Never say never!” But sometimes saying enough is the best thing you can do for your well-being. It’s not giving up. It’s not “losing hope.” It’s choosing to live your life and move on. Choosing a child-free life is an option. Lindsey Daniels, Psy. D. Phone interview. March 26, 2014.